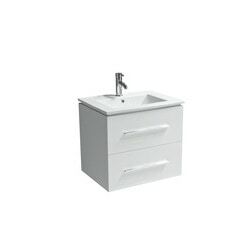 Jacob White 30-in Bathroom Vanity + Porcelain Countertop with pre-drilled single hole. Faucet Sold Separately. 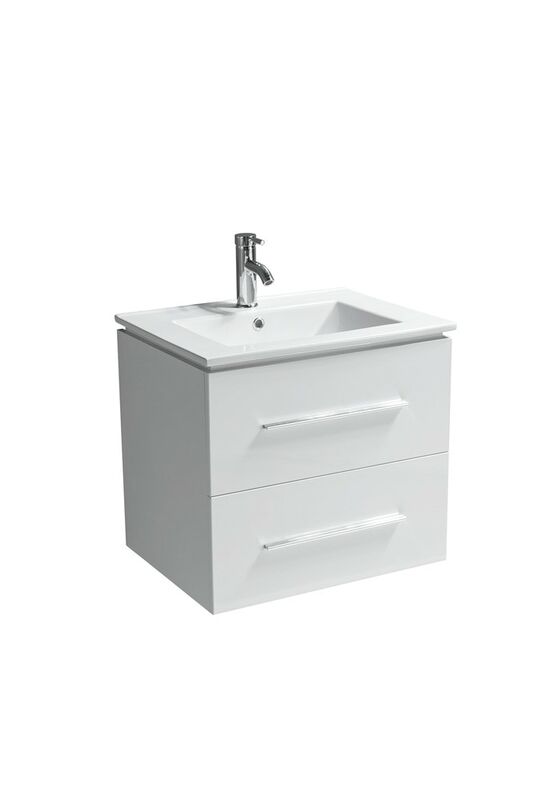 24" x 19.75" x 23.75"
Cutting edge design and precision craftsmanship come together with this elegant modern vanity. It's high-end MDF construction allows for superior structural stability and the high gloss finish enhances the look of your bathroom. All Golden Elite vanities are manufactured in strict compliance with the NFSC (National Forestry Stewardship Council). Golden Elite introduces Jacob - the latest addition to our Floating vanity line. This sleek design hovers above your floor, making even the smallest of bathrooms appear much more spacious; giving you a fashionable look that's a cut above the rest. High-end coating: 11 coats of finish - 6 coats applied by hand. No fading or yellowing. Installation hardware included: Easy to follow installation instructions. DIY friendly.